Rare front row single story property where ocean meets land in monarch bay. You own the land with this property, owner completed land purchase in 2016! Mesmerizing white water ocean and catalina views. 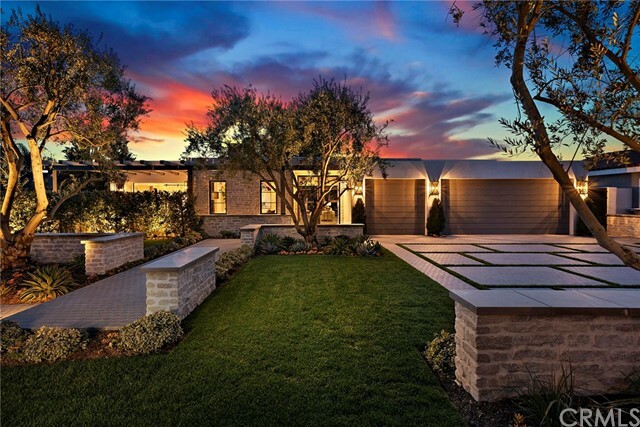 Inspired by the local natural elements, this home has been meticulously remodeled with stunning contemporary architecture and spectacular finish materials. Entering the home is as welcoming an experience as if arriving at a luxury beach resort, featuring a soft palette of natural colors and textures. Massive great room with a chef’s kitchen, perfectly appointed kitchen island and a seamless entrance to entertaining lanai including fire pit and sweeping white water views. 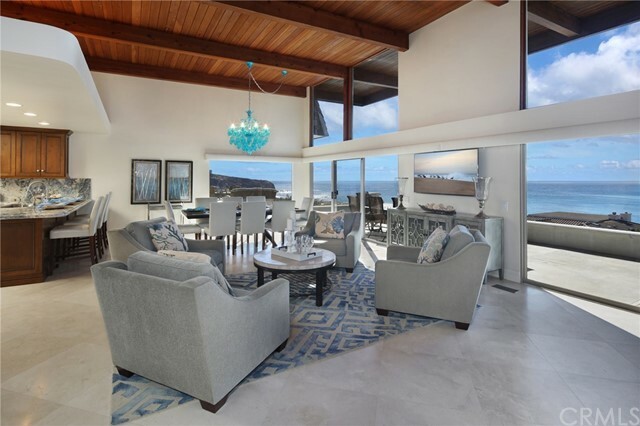 Expansive master suite ultra inviting with panoramic ocean views, fireplace, and private lanai. Master bath is richly designed with marble, a large soaking tub and steam shower. Completing the master suite is a large closet with a plethora of built-ins for two. Oversized finished two car garage can fit two cars and a golf cart or use the extra space as a recreation room. Garage has lots of storage and a full bathroom with shower for an après beach option. Ocean front private beach club with beach towel, chaise lounge, and umbrella service. Resort lifestyle convenience with newly renovated restaurant managed by 5 star monarch beach resort to open summer of 2019. Short shuttle ride from beach club to monarch bay resort with many member benefits! A slice of bliss by the sea. Dive in! 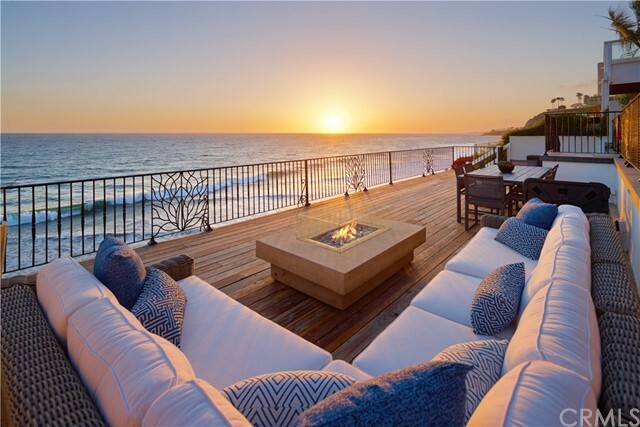 Uncompromising luxury and attention to detail with affluent but relaxed comfort characterizes this newly constructed, beach casual, contemporary residence. Located within the oceanfront community of monarch bay, this home exudes a resort lifestyle while providing an open and airy feel with sumptuous convenience. Residing on one of the largest lots in the development provides for an elegant front exposure and an entertainer’s type rear yard complete with pool, spa, fire pit, covered outside kitchen, 2 profession grills, eating areas, tranquil grassy area and many lounging respites. This sprawling one level home is punctuated with exalted ceiling heights, architectural details, top of the line amenities, and current, contemporary detailing. Highlighting this domicile is an open concept kitchen-dining room-great room domain which flows to the rear yard through massive folding walls of glass. The master suite is elegant yet relaxed and is accentuated by collapsible glass walls leading to a courtyard and an opulent master bath and posh walk-in closet. There is a lightsome office just off the metal and glass entry doors which also reveals to the master bedroom’s courtyard. There are three additional en-suite bedrooms surrounding an open and substantial multifunctional space which reveals the engaging backyard. Two of the bedrooms possess soothing verandas. All the amenities of the monarch bay beach club come with the procurement of this home. Fee simple land. Truly an outstanding opportunity for a single level residence (absolutely no steps) located within the incredible 24 hour guard gated "ocean front" community of monarch bay! 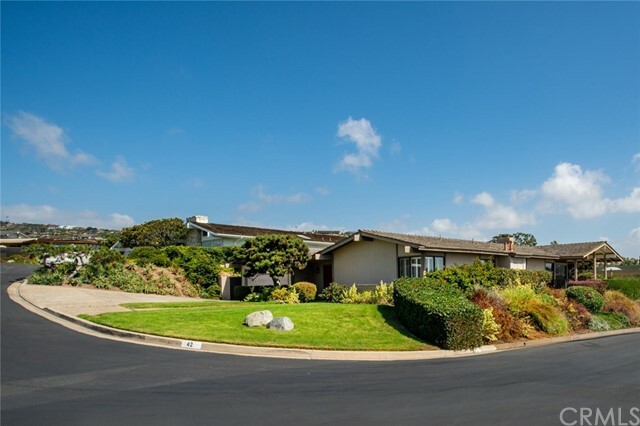 Fantastic "ocean and whitewater" views from this fabulous property located only blocks away from the ocean. This residence features a very nondescript soft contemporary exterior elevation, 3 bedrooms, 3. 5 baths, a very warm and spacious family room with fire place as well as a second fireplace located in the living room area, formal dining area, remodeled master bath, a very open and comfortable kitchen area contiguous to the family room. Multiple "double doors" opening to an exceptional patio area containing a spa and ample space for a barbecue area. Newer roof, new hot water heater, central air, outdoor putting course and outdoor bocce ball area, detached over sized 2 car garage, 11,000+ sq. Ft. Site. Outstanding potential and perhaps large enough site to be able to even add on a casita or detached office area. This outstanding ocean front community features "24 hour guard gate" and the monarch bay club which is an ocean front private beach club, enjoy the butler style service at the beach including towels and umbrellas as well as ocean front dining, volleyball, on occasion live music and beach fire pits, and a private tennis court! Minutes from dana point harbor and the lantern district in addition to laguna beach. One may even walk to renowned ritz carton resort should they desire! 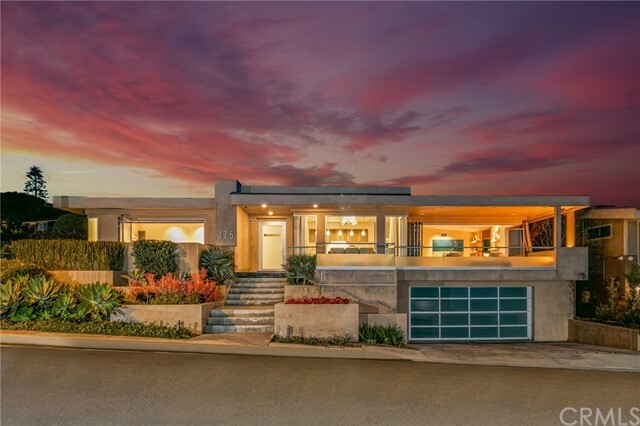 Spectacular ocean, whitewater, and catalina island views to palos verdes from this beautifully remodeled custom home on the beachside of pch in the 24 hour gated oceanfront community of niguel shores next to the ritz carlton hotel, the links golf course and the strands. 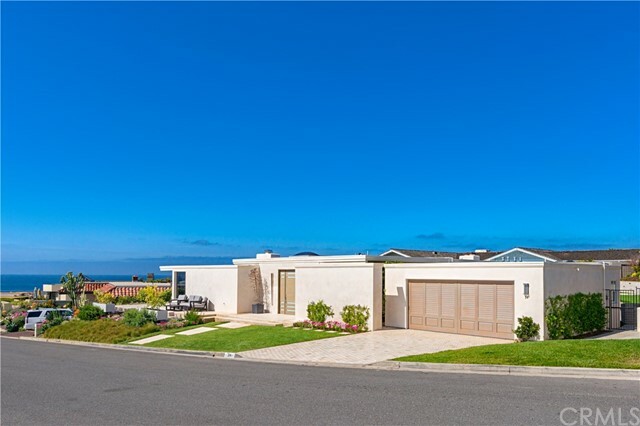 This home features amazing ocean views from all main rooms, an expansive "great room" with high windows and beamed ceilings and doors opening to a large entertainer's patio plus wine bar and dramatic fireplace. The chef's gourmet kitchen is designed to perfection with stainless steel wolf and thermador appliances, superb granite counters and beautiful custom cabinetry. The ocean view kitchen opens to the large gated entry courtyard with custom gates and large lawn area with room for a pool and spa. The lavish use of stone throughout includes honed crema 24x24 marfil flooring from spain, quartz plus juparana and barricato granite and a super architectural design. There are 3 bedrooms and 3 luxurious baths plus an office/den and a large laundry room with sink and stone counters and a fully finished 3 car garage. 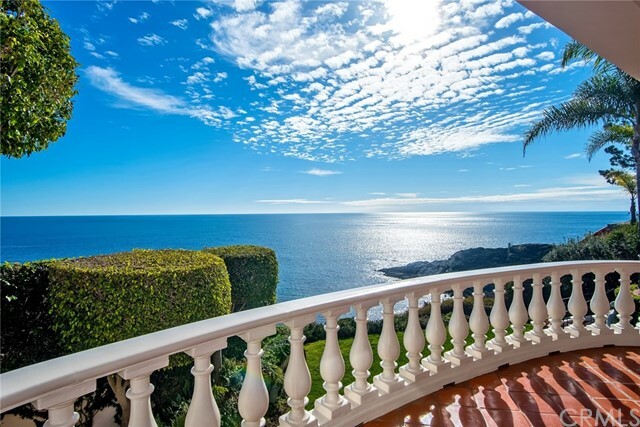 This home is located on a premium lot just above the surf. Stroll to the 3 million dollar clubhouse complete with jr. Olympic size pool, spa, 4 tennis courts, sports courts, or to the nearby blufftop oceanfront park and parking lot. 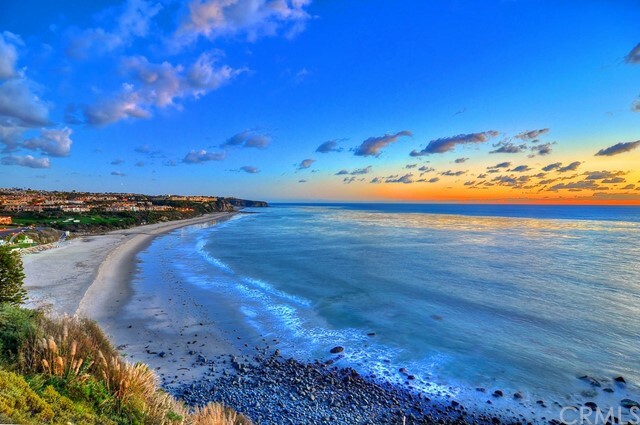 Niguel shores is minutes close to the marina at dana point and the art colony of laguna beach. Enjoy the ever-changing views and the fun beach lifestyle all year long. 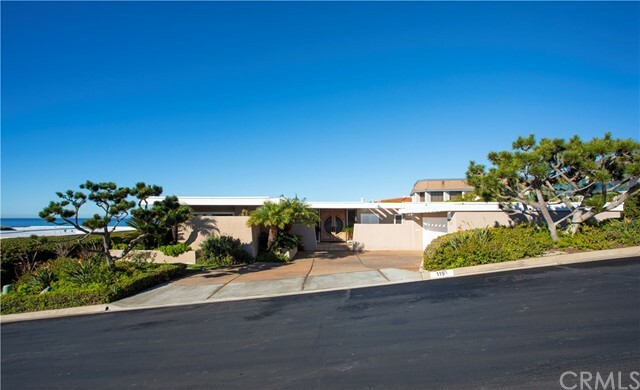 Great ocean view single level home located across from oceanfront in monarch bay. Master and den one one side, 2 bedrooms and bath on opposite wing. Nice entertaining spaces. One block to the beach. Incredible opportunity to expand or build new.